Blue Rose Epics | Entertainment: Sneak Peek Clip & Trailer for Mr. Robot (2015-Present) Season 3! Sneak Peek Clip & Trailer for Mr. Robot (2015-Present) Season 3! 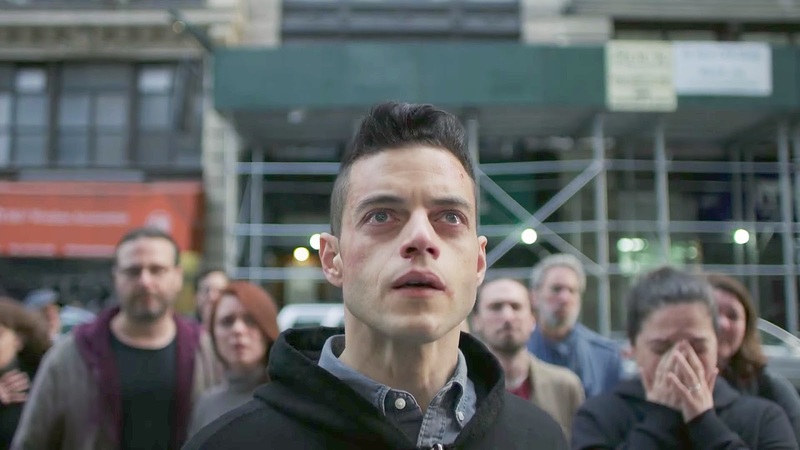 The first season of Sam Esmail's Mr. Robot (2015-Present) stunned the world with its scope, and is one of the few TV programs to earn a Best Drama Emmy in its first year! The second season treaded water a little in comparison, but now Mr. Robot is back with a bang in its third season beginning tomorrow night, October 11, 2017. Watch the sneak peek and trailer Season 3 below! Mr. Robot is a TV show that seemingly blends effortlessly the plots of Fight Club (1999), Sneakers (1992), Hackers (1995), American Psycho (1998), and Dexter (2006-13) into beautiful pastiche that only gets more and more interesting the more it is watched. The subjectively first person, yet still surreal, narrative techniques help lend this show a charm that brightens the relatively bleak plot. And even though Mr. Robot is practically an arthouse TV program its aesthetic, it still remains bizarrely entertaining and accessible on a surface level, too, for even the most casual viewers. It is literally must-see TV and will likely be one of the most talked about shows this year. So watch early to avoid getting spoiled for what is sure to be a season filled with twists and turns.